If you’re a self-employed courier driver, when it comes time to sell your trusty van and invest in a new one, don’t get conned by Internet fraudsters! Whenever you’re dealing with financial transactions over the Internet you need to be alert to the myriad ways nameless, faceless criminals can try to fleece you. But when you’re a self-employed courier driver and talking about the sale of a vehicle involving several thousand pounds, it’s even more important to know what to look out for. 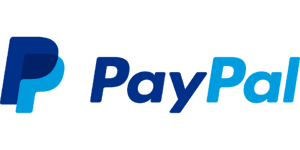 While generally PayPal is considered a safe way to make transactions, there are some unscrupulous characters out there that have found some fairly ingenious ways of deceiving a seller. Here’s the scenario: you find a buyer for your van and they agree on your price. So far, so great! They make a payment to your PayPal account, but ‘accidentally’ pay you too much. Oh dear, would you mind please paying back the difference, they ask, ever-so-nicely? You check and sure enough there’s the overpayment showing up in your account so, naturally, you want to show your integrity and immediately return them the difference. Here’s where it all goes pear shaped, because once you’ve made the refund, suddenly the original payment disappears in a puff of smoke – leaving you out of pocket with, in most cases, virtually no comeback. There are various ways this happens, including a fake receipt of payment, or the original payment being made with a stolen credit card, which is subsequently cancelled. Either way you’ve lost your dough – and for a self-employed courier, that could mean the difference between buying that new van and going back to a moped! 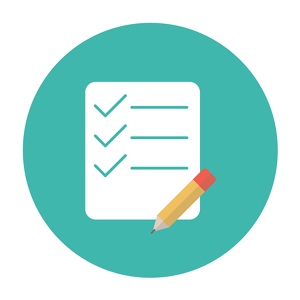 While it’s very tempting to take the money and run when you get a good offer on your vehicle, you can avoid being a victim of this kind of con (and there are many others out there) by following a very simple personal checklist. Check the validity of emails. One easy way of checking that a PayPal email is genuine is by logging in to the website in a new browser window (don’t click through from the email) and checking the details of the payment. If the buyer requests money for anyreason, run a mile. You are the seller, there is no reason you should be paying them anything! It’s a sure sign of a dodgy operator. If a buyer insists that they can’t talk on the phone and can only communicate by email, it is a definite red flag. If someone offers to pay the full asking price, no questions asked, there’s a good chance there’s a rather odorous rat somewhere! Remember what your dear old granny always told you: if it sounds too good to be true, it probably is. Been a victim of an online van fraudster? Let us know! You can’t put a price on the kind of community networking the Courier Exchange platform enables, and for a self-employed courier, knowing your mates have your back is absolute gold.